What Type of Volcano Is Not Associated With a Plate Boundary? What Kind of Eruption Would You Expect at a Rift? Composite volcanoes are the most common type of volcano on the Earth’s surface. They account for 60 percent of the Earth's volcanism. Most of the remaining 40 percent occurs under the oceans. Composite volcanoes consist of alternating layers of ash and lava flows. Known also as strato volcanoes, their shape is a symmetric cone with steep sides that rise as high as 8,000 feet. They form along Earth’s subduction zones where one tectonic plate pushes beneath another. Such regions are those around the Pacific Basin and the Mediterranean Sea. Composite volcanoes mostly extrude lava of intermediate silica content and medium to high viscosity known as andesite. 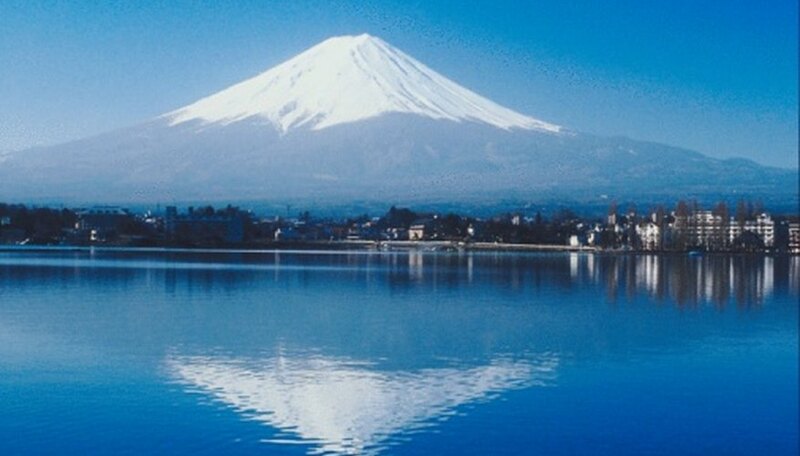 Exceptions are Mount Fuji in Japan and Mount Etna in Sicily that extrude basalt. The lava rises from a magma chamber deep under the volcano and through a central vent. If the central vent is blocked, the lava finds other side conduits to exit. These side vents are known as fumeroles. 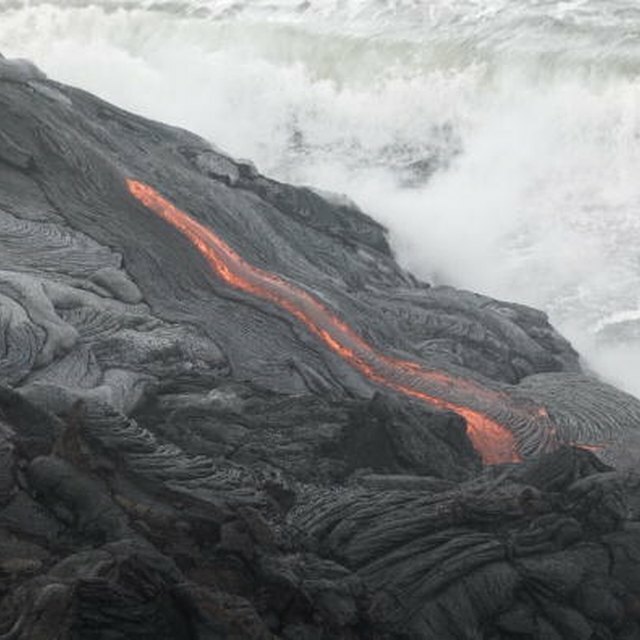 In other types of volcanism, such as mid-ocean ridges, the lava extrudes through fissures on the Earth's surface. Ash is a mixture of particles, varying from tiny dust to large rock fragments. A volcanic eruption creates clouds that are a mixture of ash, gases –- usually carbon dioxide and water vapor -- and minerals such as sulfur. An ash cloud can spew 20,000 feet high and extend laterally more than 300 miles. This is one of the most severe natural hazards because the ash is toxic to plant and animal life. Composite volcanoes are dormant over long periods -- as long as millennia -- giving the impression they are extinct. Over this period, solidified lava around the volcano’s vents collapses inside and blocks up its vents. This process increases the pressure in the volcano, and the force of the subsequent eruption is immense. As they erupt, lava and ash flow down the sides of the volcano at the speed of an avalanche. Ash from a composite volcano eruption that remains suspended in the atmosphere can have significant climatic effects. The 1815 eruption of Mount Tambora in Indonesia eliminated the following year’s summer in the Northern Hemisphere; 1816 became known as the year without a summer. English painter Joseph Mallord William Turner showed Tambora’s climatic effects in his work. The 1991 eruption of Mount Pinatubo in Indonesia caused climatic effects, such as severe winters, in the Northern Hemisphere for the next three years. What Characteristics Do Volcanoes Have? Kielmas, Maria. "Characteristics of Composite Volcanoes." Sciencing, https://sciencing.com/info-8402931-characteristics-composite-volcanoes.html. 09 January 2018.